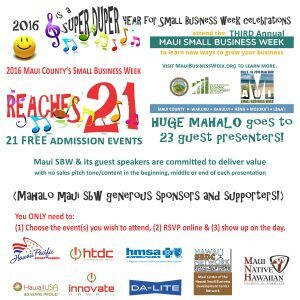 Registration and the lineup of free educational sessions for Maui Small Business Week are available online. 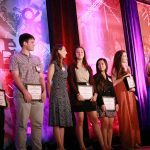 The sessions will include 23 guest speakers, offering 21 different sessions over the course of the week—May 9 through 13, 2016—in Central Maui, Hāna, Lana’i and Moloka‘i. Maui SBW is able to offer a full five-day agenda of free educational events by relying on the funding of sponsors who cover the full operational costs of the event. The current list of Maui SBW sponsors includes HMSA, HTDC, Innovate Hawai’i, HawaiUSA FCU, and more, enabling the local business community to take advantage of the full week of events at no cost to the individuals who register to attend. 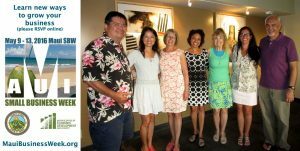 “The enthusiasm of local sponsors to fund the event confirms that Maui SBW is providing an important service to the business community by providing informative, educational sessions to help local businesses achieve success, in an environment free of commercial sales pitches and with no cost to attend,” said Maui SBW organizer David Kapaku. Maui’s Small Business Week kicks off at the Kalihi Golf Course in Wailuku with an opening ceremony emceed by David Kapaku and John Hau‘oli Tomoso, with a complimentary continental breakfast included. The featured speaker for the opening ceremony is Kainoa Horcajo, Hawaiian cultural ambassador at the Grand Wailea and an emerging leader in the field of cultural tourism specializing in the application of Native Hawaiian values, principles and practices. The first two sessions following the opening ceremony will focus on core skills for business success, such as delivering powerful business presentations, how to attract new business and keep current customers, and understanding key financial strategies to drive sustained profitability. The week will continue with prominent speakers from California, O‘ahu, and the Maui business community. Topics will include: pricing strategies and the role of pricing in your marketing mix; six different kinds of crowdfunding and how each works; honing marketing techniques, such as use of effective tag lines and a polished elevator pitch; an introduction to lean techniques for product and service businesses; and improving operations and expanding a small business through focus on your business plan. 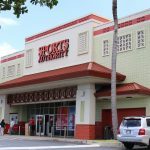 “This unique opportunity is free to all attendees and also free of commercial sales pitches, and is being offered right here in Maui County to help you network, learn how to grow your business and increase your competitiveness in the global economy,” Fisher added.